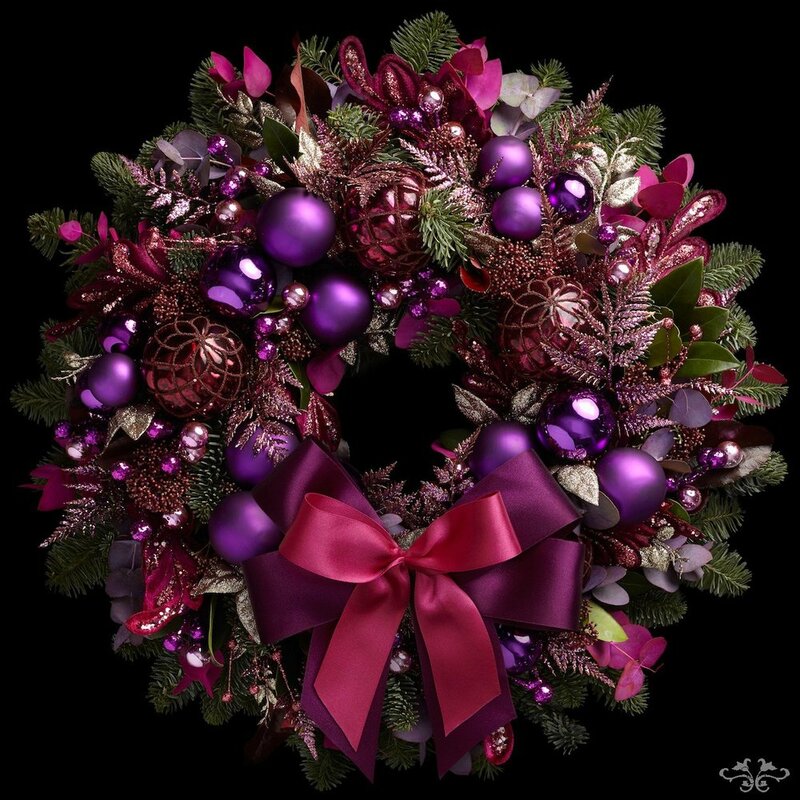 Neill Strain’s Christmas Collection 2018 can now be ordered online. If you live in London, there’s no easier way to fill your house with exquisite decorations for the holiday season. 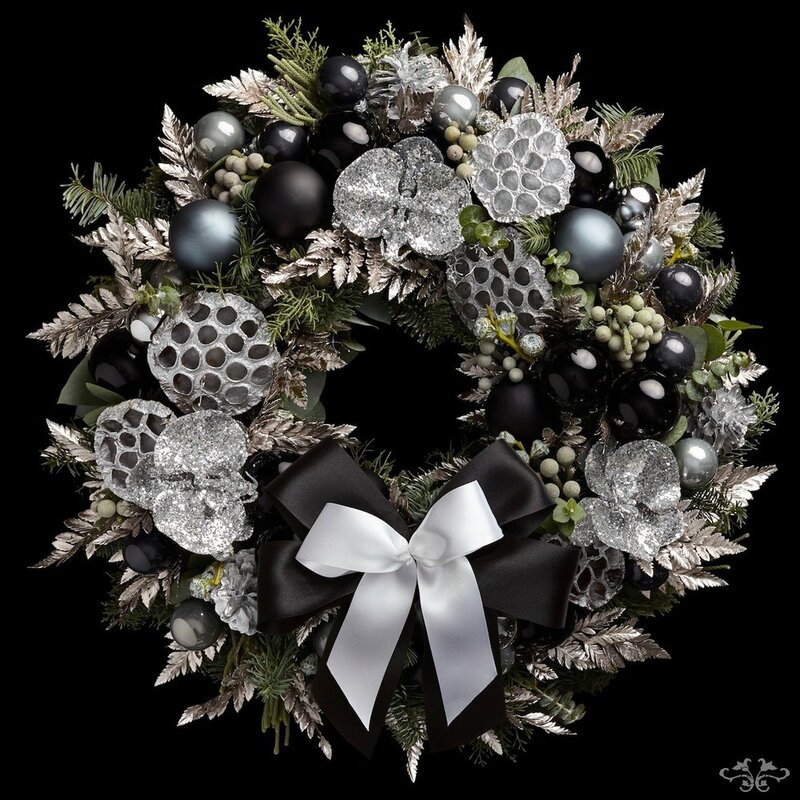 Stunning door wreaths, floral and candle arrangements, plants and a new fragranced candle created by Neill in celebration of the company’s 10th anniversary, can be delivered to your door anywhere in London if you order online. Neill explains all in this festive blog post. Preparing for Christmas should be exciting and fun but not all of us have much time to spend on it. 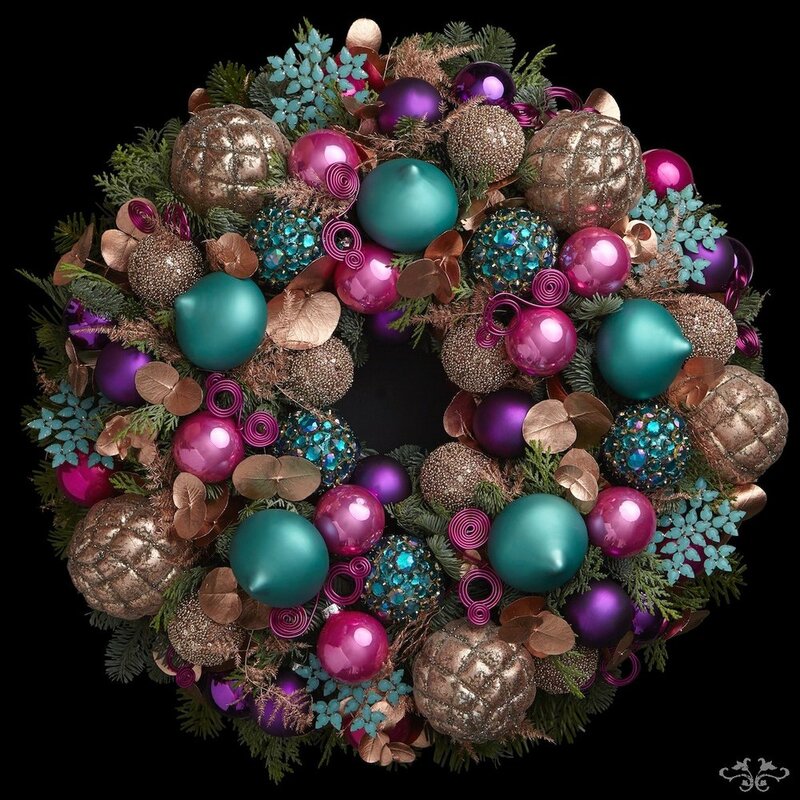 Which is one reason why we have created our Christmas Collection 2018 with designs that can be ordered online and delivered to your door anywhere in London. So all you have to do is take a look at our wide range of decorations, make your choice and within a few days you can hang a wreath on your door, place a tall arrangement in the hall, a low arrangement on the dining room table and a Petite Couture on the coffee table along with our new “Christmas Eve” candle, and your home will be virtually ready for Christmas! 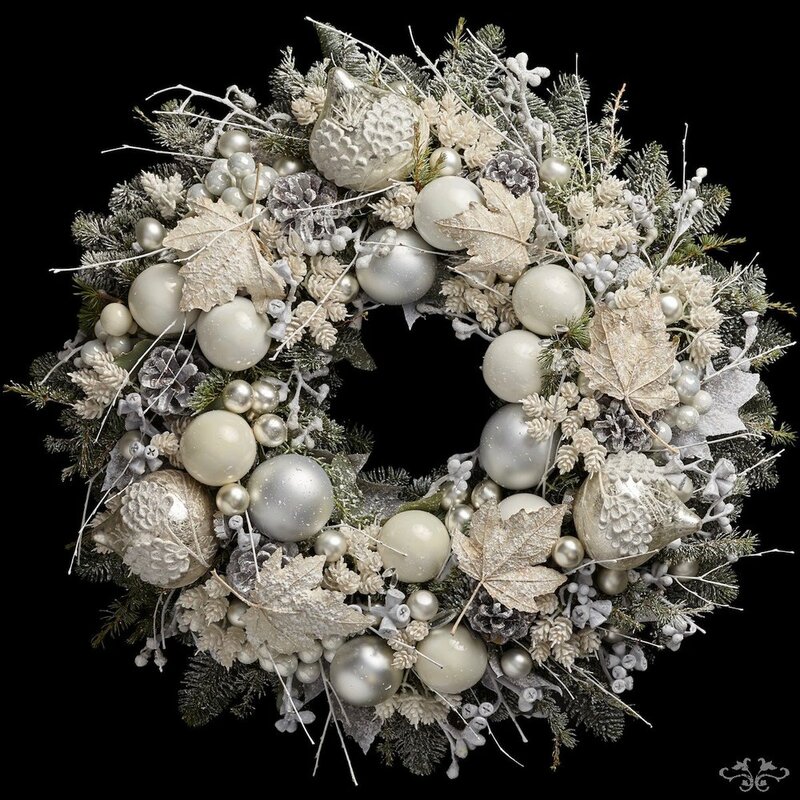 Our favourite “on trend” colour scheme or Christmas 2018 is white with champagne, gold and silver, so here are a few alternatives to meet this elegant, frosty look. 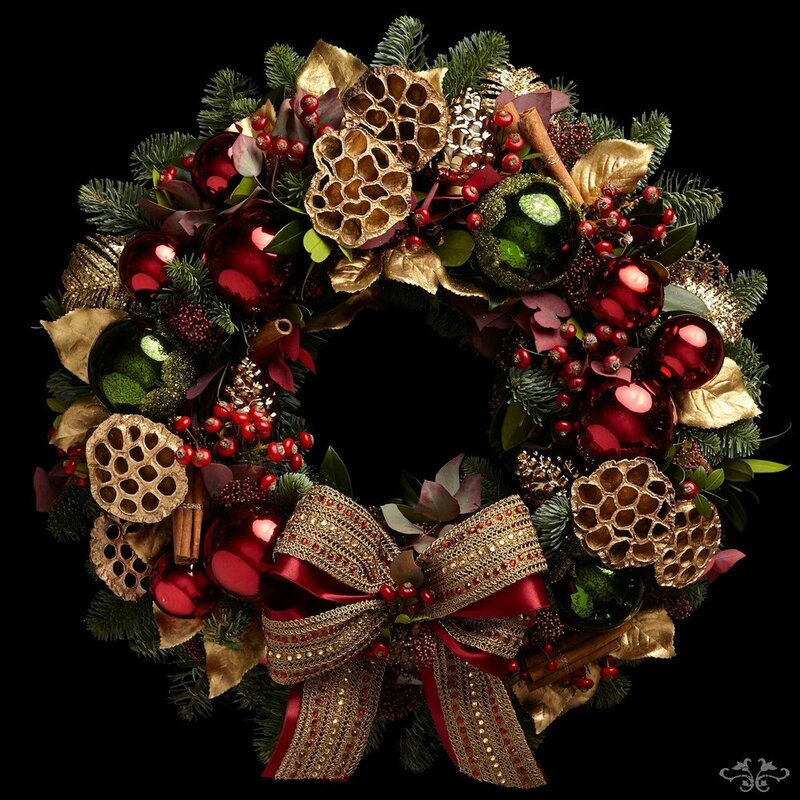 Note, our door wreaths can be delivered nationwide and abroad by special request. Please call our Belgravia boutique on 020 7235 6469. While you can order a fully decorated Christmas Tree at our Belgravia boutique or our concession at Harrods, you may like to consider one of our 1-meter-tall arrangements from our online Christmas Collection as an alternative, an addition, to your tree. Available in traditional red or elegant white, these impressively luxurious designs are a show-stopper, best placed on a table in the entrance hall, any hallway or your living area. The dining-room table will be the focus for many hours during the holiday celebrations and decorating it with flowers, ornaments and candles to create a warm and festive atmosphere is just as important as preparing the food. 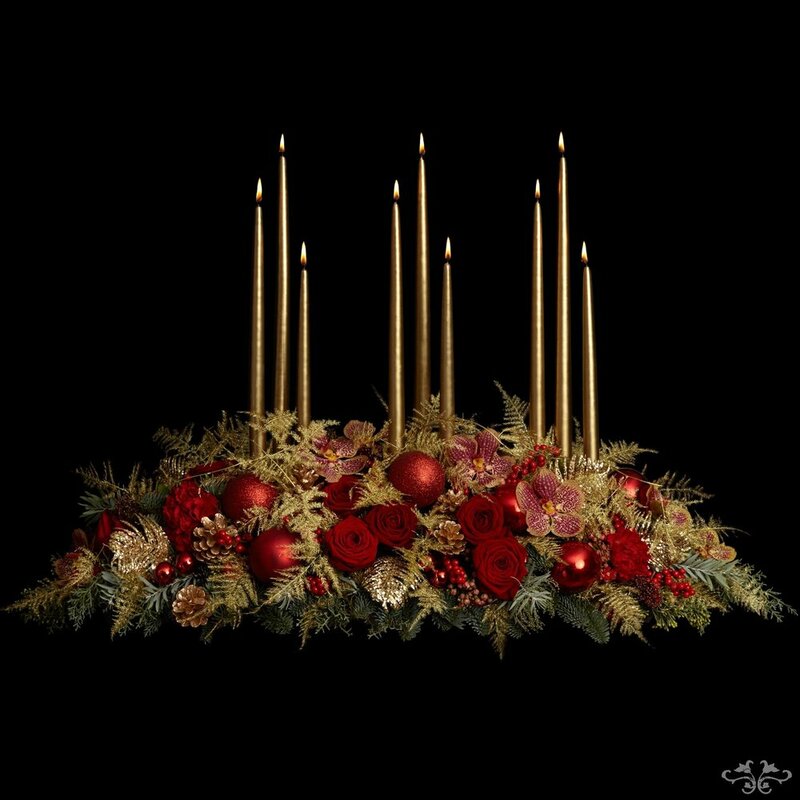 In traditional red and sophisticated white, we have designed a long, low table decoration available with or without tall tapered candles, along with our Petite Couture designs, also with or without candles, which can be placed alone, in groups or in a line down the center of a table for an exquisitely lavish look. 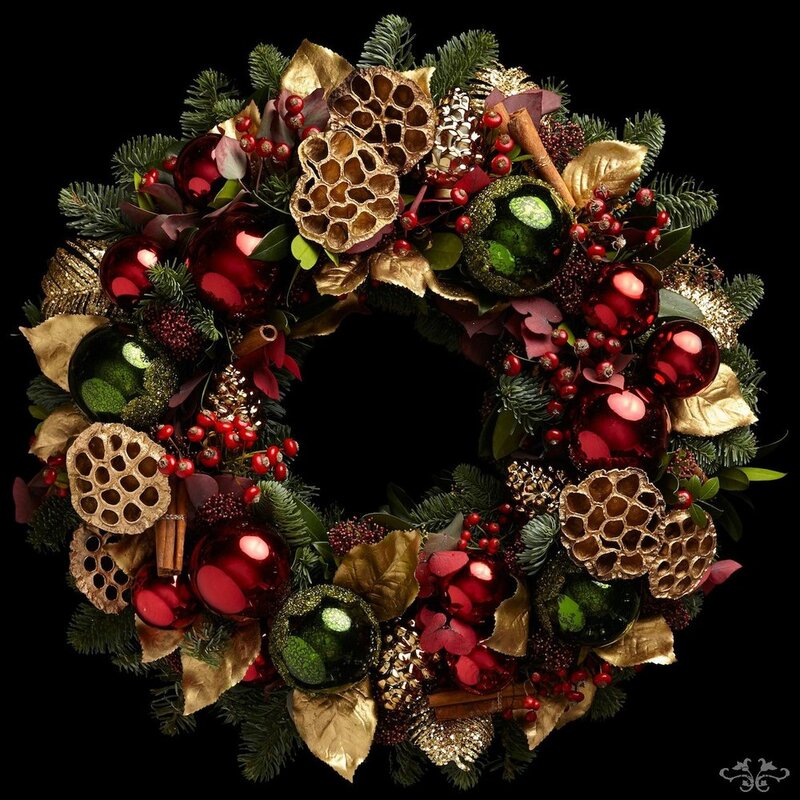 Our Christmas Collection also includes hand-tied bouquets and dome arrangements in stunning gold and silver containers combining richly textured Roses, Orchids and berries festively decorated with seasonal foliage and baubles. 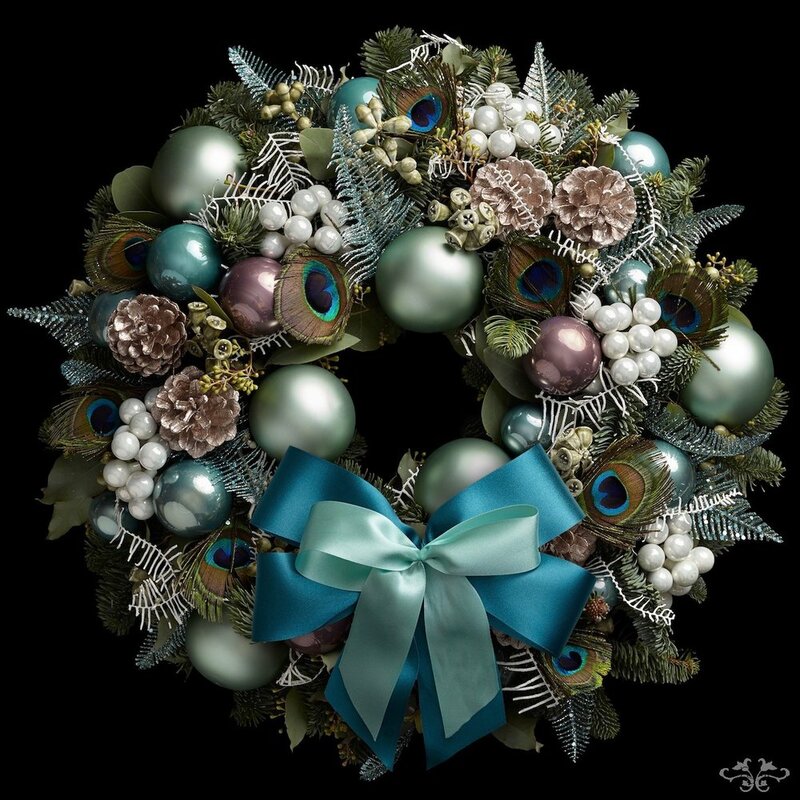 These designs make a delightful gift and will add festive cheer and joy to any home. 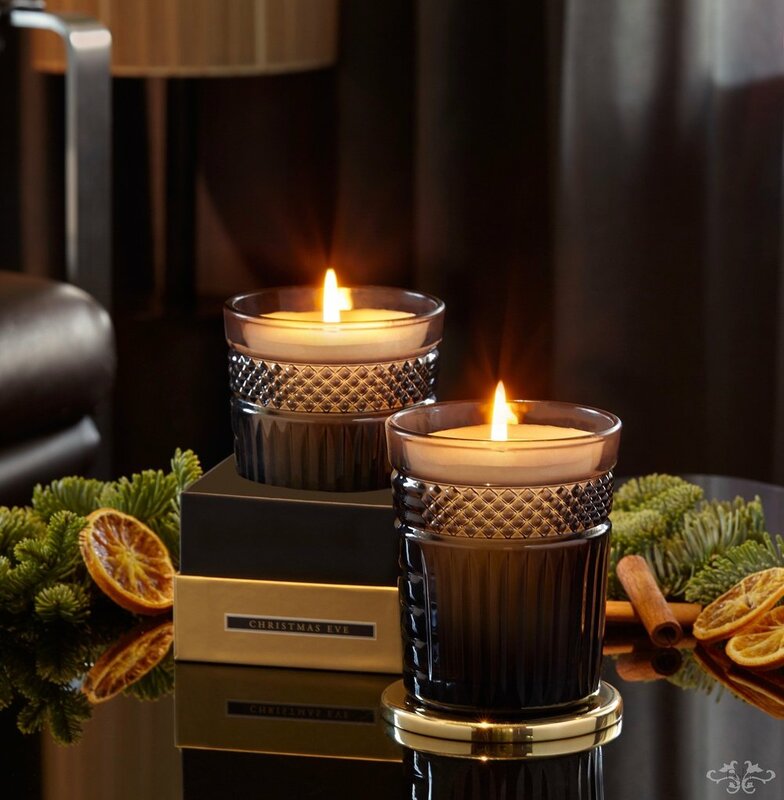 The highlight of our Christmas Collection 2018 and in celebration of our 10th anniversary is my new fragranced candle “Christmas Eve.” I have spent years preparing a full range of floral fragranced candles which we will launch in the new year, and hence “Christmas Eve” is just a taste of more to come. The fragrance is of traditional scents of Orange peel and clove, with a fruity heart of Cinnamon and a base of Pine, Oak Moss and Musk for an uplifting allure. I have tried to evoke my expression of the true scents of Christmas. Last but not least, I have added to this year’s collection a range of festively decorated planters, Orchids and Cyclamens, which offer another delightful way of decorating your home with glitz and glamour for the season. My goal is to inspire you with the beauty of these designs and to give you a quick and easy way of ordering them via our online ordering service. I hope I’ve succeeded! But if you prefer to pop into our Belgravia boutique and order something bespoke, my team will be delighted to help. 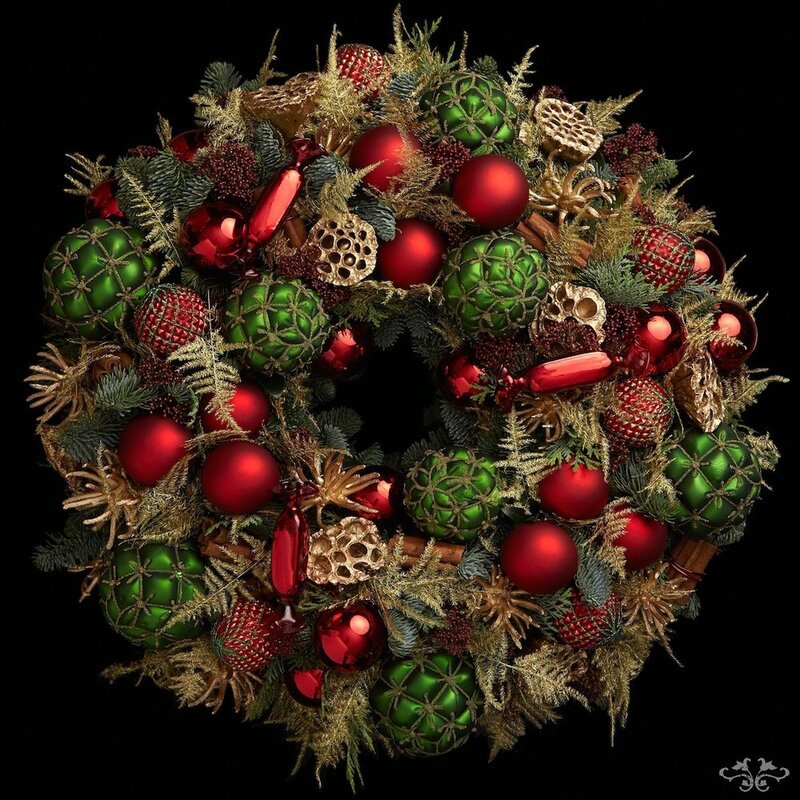 In the meantime, enjoy your Christmas shopping and most of all decorating your home for the season.